I love making this recipe as a side whenever I make Carnitas, Shredded Beef or even Skirt steak platter for my family. 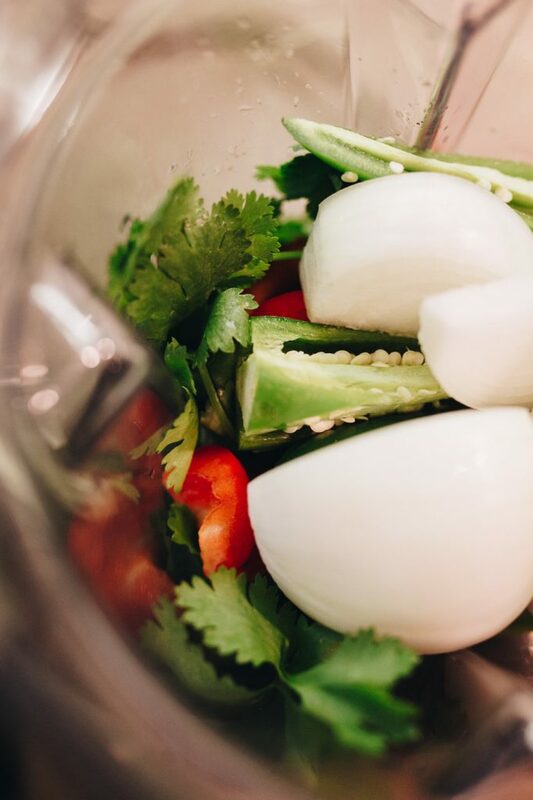 I typically already have all these ingredients (jalapeno, cilantro, onions, garlic, etc) on hand so making this side only requires a little bit of extra prep work the night before when I soak the beans. Beans are such a good source of fiber and protein and this recipe is much much better for you than any canned refried beans, those tend to have hidden trans fats and sodium. 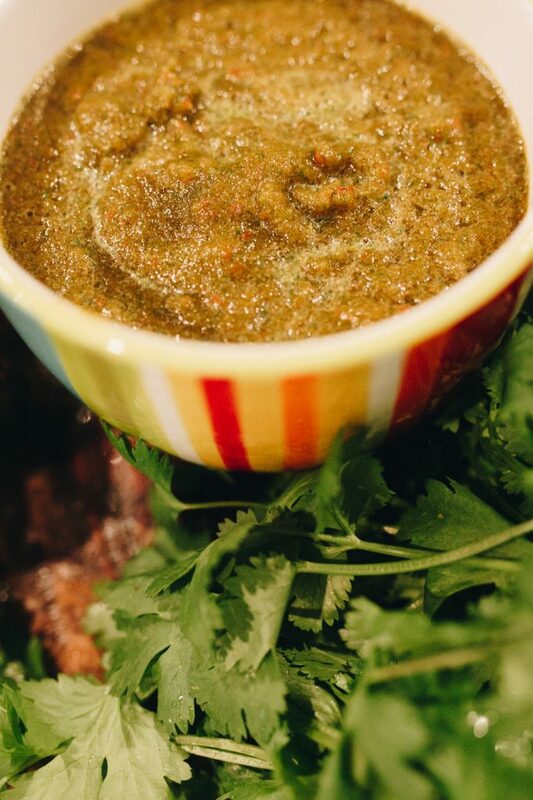 Think of the sofrito almost like a base or a sauce that you add to the beans. It’s a more traditional way of making beans and very effective at imparting flavor. You can also use sofrito in rice. As you can tell, I make a ton of dishes that are Latin-inspired in flavor. I love this cooking style and its use of fresh, simple ingredients that really pack a punch. 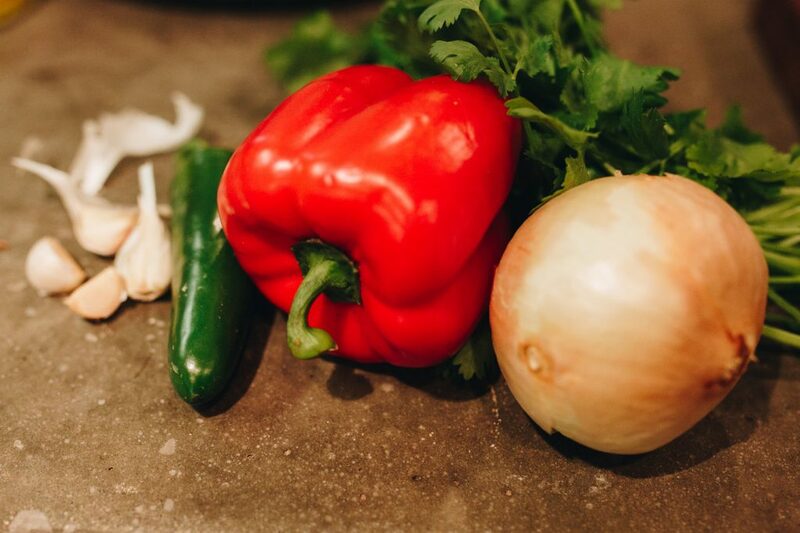 I find Latin American and even Tex Mex dishes to be fairly easy to modify and make “Sown Life approved” because they already call for lots of herbs, spices veggies and protein. 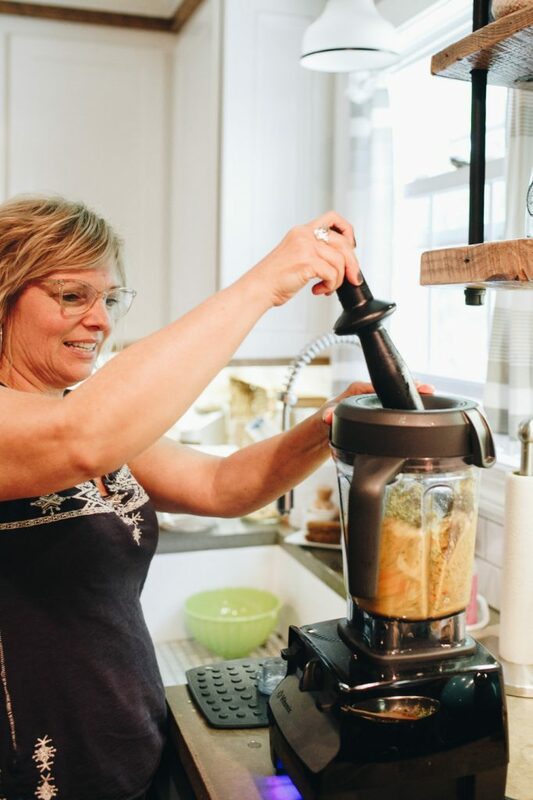 Not only are these recipes crowd pleasers and favorites, but when I make them I feel like I’ve given my body the best and most nutritious foo I can and that makes me happy. Enjoy this dish! Put all ingredients in food processor and process until it is well blended together (can be chunky if you like). Set aside. 1. 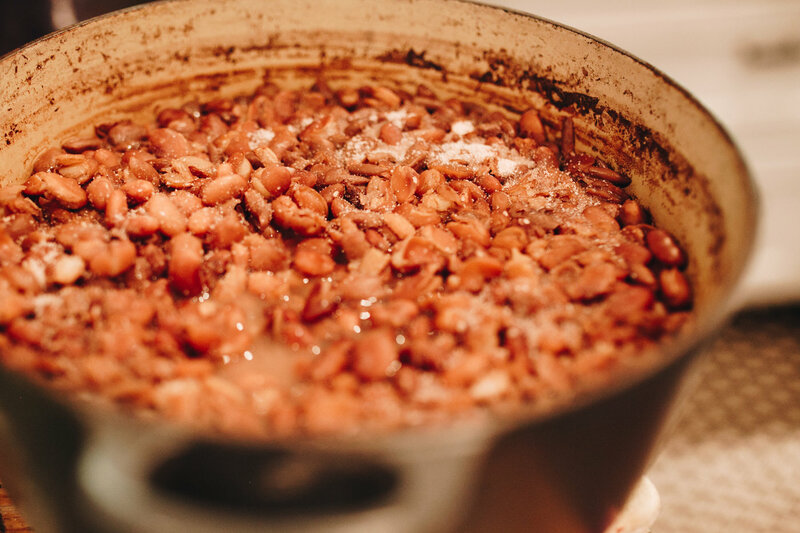 Rinse beans and then soak them overnight in a Dutch Oven. Make sure there is enough water to still cover the beans when they expand. 2. The next day, strain water from the beans and then cover them again with fresh water. Boil until tender. 3. In a small skillet, heat up olive oil and then add sofrito and cook in the oil until fragrant, about 3 minutes. 4. Add the sofrito to the beans and salt to taste. Continue to cook the beans until some of the liquid has cooked off and the sofrito has infused the beans with flavor. Taste again to see if the seasoning is to your liking. Rinse beans and then soak them overnight in a Dutch Oven. Make sure there is enough water to still cover the beans when they expand. The next day, strain water from the beans and then cover them again with fresh water. Boil until tender. 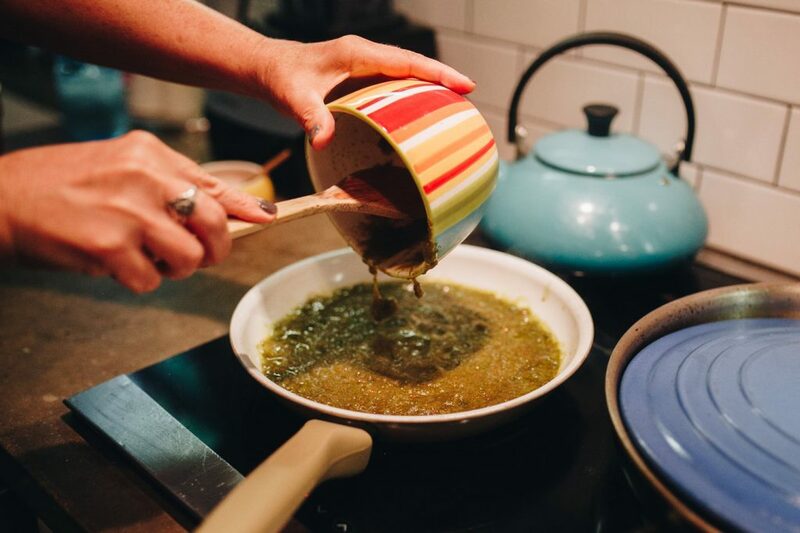 In a small skillet, heat up olive oil and then add sofrito and cook in the oil until fragrant, about 3 minutes. Add the sofrito to the beans and salt to taste. Continue to cook the beans until some of the liquid has cooked off and the sofrito has infused the beans with flavor. Taste again to see if the seasoning is to your liking.